There are no words to describe UPND President Hakainde Hichilema’s decision to trash the efforts of on-going harmony seeking engagement between the youth in his party and the ruling Patriotic front. Less than forty Eight hours ago, the nation watched in joyful amazement as a previously seemingly impossible meeting of high level women and youth leaders from the PF and UPND took place at the UPND secretariat. The nation breathed a collective sigh of relief as it witnessed a reconciliatory atmosphere of brotherly and sisterly love. The PF delegation included Honourable Stephen Kampyongo – the nation’s Minister of home Affairs whose portfolio includes the maintenance of law and order. Although he attended the meeting as PF Chairperson for Youth and Security, his input Minister of Home Affairs was inevitably critical. So was the commitment of Honourable Jean Kapata – Minister for Lands even as she attended the meeting as PF Chairperson for Women. The UPND delegation equally comprised key decision makers and influencers, including their Deputy Secretary General Hon Patrick Mucheleka. The entire nation – citizens of different political parties including neutrals were still basking in the afterglow of the peace talks and were looking ahead to the joint and mutual implementation of the historic meetings resolution… until this morning when the UPND leader Hakainde Hichilema threw a wet blanket on peace and good will to all men and women. Hichilema claimed his youths were duped by PF over the peace pact and that he will not sign a peace accord. He has again issued new instructions for youths to defend themselves violently if provoked by PF. What kind of man incites “his” youth to renege on their commitment to peace? Not only is he insulting the intelligence of the youth in the UPND, he is casting an affront on the intelligence and reasoning of all the youth in Zambia. After all it is the youth whom blood thirsty people use for their selfish ambitions. Zambians must be wary of politicians who have serious traits of desperate blood thirsty glorified warlords disguised as well-meaning political leaders. Zambia must reject politicians who yearn for violence. The youth of Zambia must reject selfish politicians who desire to use youths for violence. Clearly Mr. Hichilema’s pronouncements confirm that the decision by youths from his Party does not serve his political interests best. He is not interested in the wellbeing of our mothers and the youth. We are vindicated when we say that Mr. Hichilema does not mean well for peace and it’s the reason his party’s membership base keeps dwindling. He does not mean well for the UPND either. No wonder he failed to condemn the Mapatizya violence, Namwala violence, and the recent violence against violence in Chilanga against journalists. We call upon our right thinking brothers and sisters in the United Party of National Development to pursue the path of peace and reject calls for war and bloodshed. Bloodshed has no winner. While you fight, Mr. Hakainde and his children relax in air conditioned surroundings. Lastly, we also call upon all Zambians to rise up and condemn Mr. Hichilema just as we appeal to the international community in Zambia, the church the women’s movement and civil society to take a note of his morbid affinity to bloodshed. However our earnest appeal is to Hichilema himself to find inner peace. When you find peace within yourself, you become the kind of person who can live at peace with others. Absolute nonsense. For peace to reign all it takes is for the commander-in-chief to do his work and also allowing state institutions to do their work. Late LPM did it and peace reigned, case closed. Next issue please. Its Sunday Chanda, the “squiller” of Animal Farm. You can trust what he says…Next Topic Please!! Sunday is narcissistic as he is sadist! HH was very clear that he supports peace and even went further and said reason there is violence is because there is no leadership. He gave an example of how Mwanawasa was able to stop senseless cadre violence. Sunday is narc.issistic as he is sad.ist! HH was very clear that he supports peace and even went further and said reason there is violence is because there is no leadership. He gave an example of how Mwanawasa was able to stop sense.less cadre violence. SUNDAY CHANDA IS MISUSING HIS INTELLIGENCE. HE IS LIKE A BEAUTIFUL YOUNG LADY, TURNED PROSTITUTE, WHO USES HER BODY TO MAKE MONEY. ALL ZAMBIANS KNOW, INCLUDING CHANDA HIMSELF, THAT IT IS PF CADRES WHO HAVE BEEN CAUSING VIOLENCE AND UPND HAS BEEN AT THE RECEIVING END. HH HIMSELF HAS, ON SEVERAL OCCASIONS, BEEN VICTIM OF THE PF VIOLENCE. TODAY HH CAN’T EVEN GO TO CAMPAIGN IN LUAPULA, NORTHERN PROVINCE AND MUCHINGA BECAUSE THE PF CANNOT ALLOW HIM. UNFORTUNATELY THE COMPROMISED POLICE COMMAND TIMIDLY FOLLOWS INSTRUCTIONS FROM KAMPYONGO AND KAIZER ZULU. WHAT CHANDA SHOULD KNOW IS THAT EVERYTHING HAS TIME. TIME WILL COME FOR HIM TO ACCOUNT FOR HIS STATEMENTS. WHAT HAS HAPPENED TO GENERAL CHIMESE SHOULD SERVE AS A GOOD LESSON TO HIM. 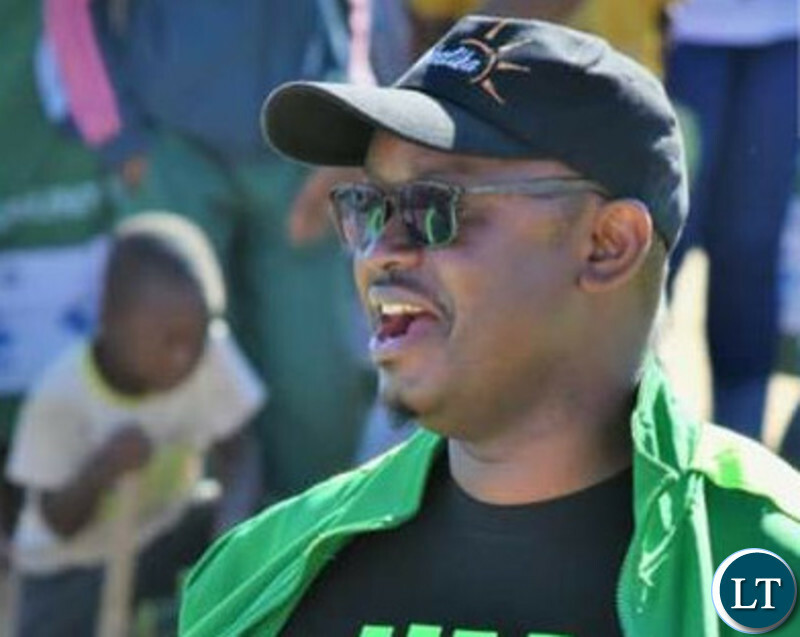 HH risks being given slow-killing poison if he meets the PF team. This is not an unfounded suspicion given the hatred from PF. Why do you love finger pointing? Ask yourself a question, what is your boss doing? We all know that lungu is the commander in chief, His the corrupt head and chief violence commander. It does not take only the Commander in Chief to maintain peace in a country – it takes the people. But there are a lot of misfits like you who think you will get into power through violence. “HH WILL DIE A BITTER MAN” says Tayali. This man HH is a tribalist, a white color thief, a regional leader and a supreme leader of the people southern province. As if this is not enough, the man does want peace to reign in the country. Sunday is 100% correct this man may land us with a blood thirsty glorified warlord if he does not tame his egos and bitterness. HH is a preacher of Armageddon and so I’m not surprised that the man is allergic to any peace process and initiative. Losing 5 times has made him a bitter and arrogant man, not fit to rule this country. Zambia will be a better place politically without this tribalist. We all need peace in this country and who is this HH to deny us the peace that we have enjoyed since independence? @Njimbu—I believe HH has cleaner mouth than yours. @Njimbu! you will never come close to what HH is, you sufferer, not even a fraction of the man you are insulting. YOU AND YOUR FAMILY WILL DIE POOR. Even if HH loses 100 times he will never suffer and you will never be better than him. Continue dancing dununa reverse and see if food will magically be on your table. get a life and sober up. Kaputo Davies: It’s really not about HH’s wealth and somebody else’s poverty. It’s about building our country so that it’s safe for all who live in it. Real wealth is in the head, a peaceful prosperous society and not material things. Njimbu might be a very wealthy man. Do not underestimate those you don’t know. Just continue your delusional March as UPND loses ground everywhere. You cannot expect peace from people like Jean Kapapa who slapped Kambwili for no apparent reasons .The police have grown cold feet and can not arrest her because she is above the seemingly crewless government of thieves . @Kaputo Davies alas “Habeenzu”, I cannot insult HH or any politician BUT I WILL NEVER VOTE FOR YOUR HH NOMATTER HOW MANY TIMES KAINDE STANDS!! !Plus i dont need HH’s money in my life.my life is splendid and as a family, we live a decent life!! !HH’S EVIL GOTTEN RICHES HAVE NOTHING TO DO WITH OUR LIVES! !It is you “cuundu chaitwa “UPND followers who worship Kainde and not us majority Zambians!! !WE ARE WAITING TO EMBARRASS HIM (KAINDE) IN 2021 THEN CONTINUE ENJOYING “DUNUNA REVERSE” SONG!! !Kasenengwa seat is next.Let me remind you,HH’s UPND has never won in Lsk,CB,Luapula,Northern,Muchinga and Eastern since 2006,SO HOW CAN HE WIN THERE IN 2021 ESPECIALLY NOW WHEN HIS POLITICAL INFLUENCE IS VERY LOW?DREAM ON “CUUNDU CHAITWAS”!! Njimbu: Because of your hatred, backwardness and a false sense of superiority you do not know that Chilanga, Kafue, Lufwanyama etc are in Lusaka and Copperbelt provinces. There are and there has been sitting UPND MPs in these places. Seven is ALWAYS greater than three. Chanda, I now understand why you were given that job. You are so good, so eloquent about it. You articulate very well with flawless ideas. Keep it up and what people should know is that you are building the image of your party and not theirs. The Chandas of this world! BRAVO! lts times like this l thank zed for sending me abroad . 11 years !! l dont think l will ever come back!!! Africa has no future unless yr leaders lead. Leave HH alone you egghead! Let’s talk about the junk PF has made of the Zambian economy! LUCHI and Associates Ltd has been looting borrowed money. Yes we need infrastructure development but not at the expense common sense! A hungry Zambian is an angry citizen! Just wait and see how tables turn! Njimbu your reasoning is amazing. Better enjoy the little with peace unlike HH and his borrowed wealth. He is simply a loser. He has been rejected and come 2021 it will be worse look at how his fortunes are dwindling at a faster rate. Kaputo Davies you may continue to worship your HH borrowed wealth from Anglo American and brenthurst in South Africa but peace has nothing to do with undoing what others are trying to build in the peace process. I find your reasoning similar to that of HH? The man is a total reject….and genetically stingy.